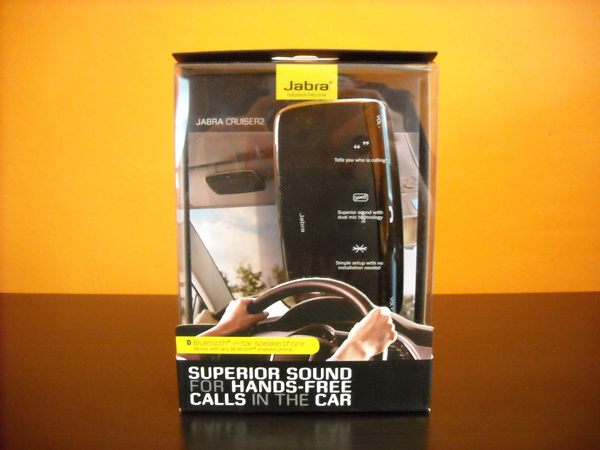 Want to win a Jabra Cruiser 2 Car Kit Speakerphone from CrackBerry.com? Keep reading for contest details. I have been using a Jabra SP700 for a few years now, and figured it was time to pick up a new one. When it comes to bluetooth I have always been a big fan of Jabra. Their products are always high quality, long lasting, and have never let me down. So while browsing ShopCrackBerry.com I came across the Jabra Cruiser 2, and immediately loved the look. Upon receiving the device, I was immediately impressed with the hardware. Very solid build quality, and dedicated buttons for send/end, mute, volume up/down, and the ever important (to me anyways) on/off switch. The Cruiser 2's initial setup is very simple. Upon first turning on the device, a voice instructs you to turn on your device, search for bluetooth, and gives you the code to enter to complete pairing (funny how it's always 0000). The device itself has some of the best sound quality that I have ever experienced in a bluetooth device. It also sports a ton of features such as multiple device pairing, address book integration, voice guidance, and great battery life (14 hours talk time, 13 days of standby). The address book integration is the best feature I came across. After you first pair your BlackBerry device to it, the Cruiser 2 tells you that it is downloading your address book, and then alerts you when the process has finished. I was surprised to find out just how good this feature is. I have a lot of uncommon names in my address book, but the Cruiser 2 spoke them all (so far) correctly. Even my girlfriend's name (Emilee), which is in my address book as "Emileeeeeee". It was a pleasant surprise, and my 1st experience with a bluetooth device speaking the name of the incoming caller, and not just the phone number. In the box, you would find just what you would expect in a purchase like this, and a few extras. As always, you get the standard manuals, device, and charger. I did find it nice that Jabra included a car adapter to charge your Cruiser 2 while on the go. The previous model speakerphone I had from them did not include this, and i was forced to purchase it separately. As I stated before, I have found that Jabra products to always be high in quality, and the Cruiser 2 and its accessories are no exception. I expect to be using them for years to come. As with all in car accessories I review, I want to point out all the accessories that will go well with the Cruiser 2. Most areas have laws for using your device while operating a vehicle, and can land you with a hefty ticket and/or points on your license. So be safe and save yourself from a ticket and check out the other car accessories that would go hand-in-hand with the Jabra Cruiser 2 via the links below. 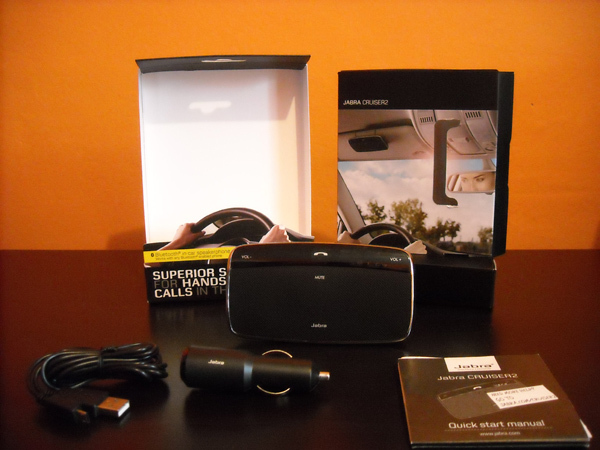 All in all, the Jabra Cruiser 2 Bluetooth Car Kit Speakerphone is the best device of its kind that I have ever used. 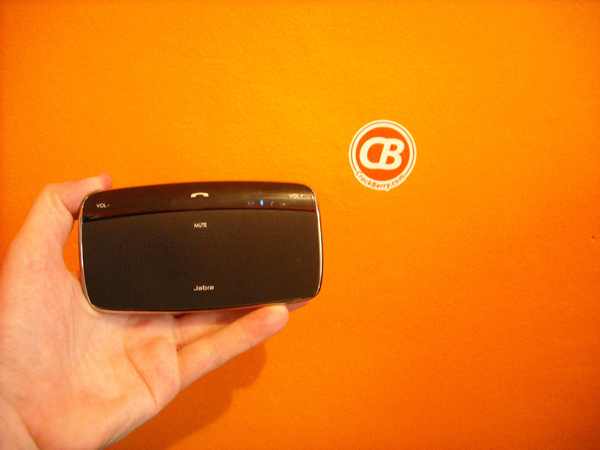 It is packed full of features that you would hope to find in any bluetooth/speakerhone device. In fact, I don't know if there are even any features that are "missing" or that I could think of wanting added to the device. 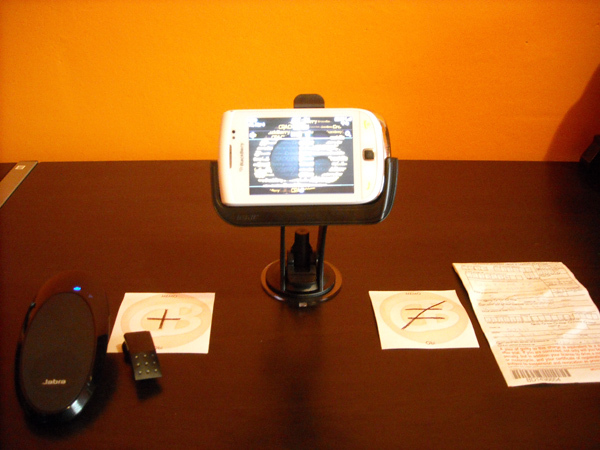 You can pick it up at ShopCrackBerry.com, available for your bluetooth enabled BlackBerry. We review it; you could win it! Want to get one of these for free from ShopCrackBerry.com? Just leave a comment to this article letting us know how you would use this Jabra Cruiser 2. Why would this product be right for you? Contest ends this Sunday at midnight PST. Please only leave a single comment.